Rosa San Luis holds a letter during "Somos el Corazon del Hogar" on Feb. 14, 2016 at the South Texas Civil Rights Project headquarters. The study, which relies in part on interviews with domestic workers in Brownsville, San Benito and Edinburg, found that domestic workers often can’t afford food, medical care, rent or utilities, and endure higher levels of economic hardship than workers in other occupations. Households of domestic workers who care for people with disabilities are most likely to report high rates of food insecurity, according to the report, the product of a collaboration by AYUDA Inc., Fuerza del Valle Workers Center, the Comité Justicia Laboral (Labor Justice Committee) and the National Domestic Workers Alliance. The study found that two-thirds of domestic workers work without contracts — house cleaners and nannies are least likely to have them. Also, paid sick lead, vacation and holidays are extremely rare for domestic workers, with only 2 percent receiving paid leave of any kind. Overtime pay is also rare. Only 3 percent of those surveyed reporting reported receiving overtime pay. 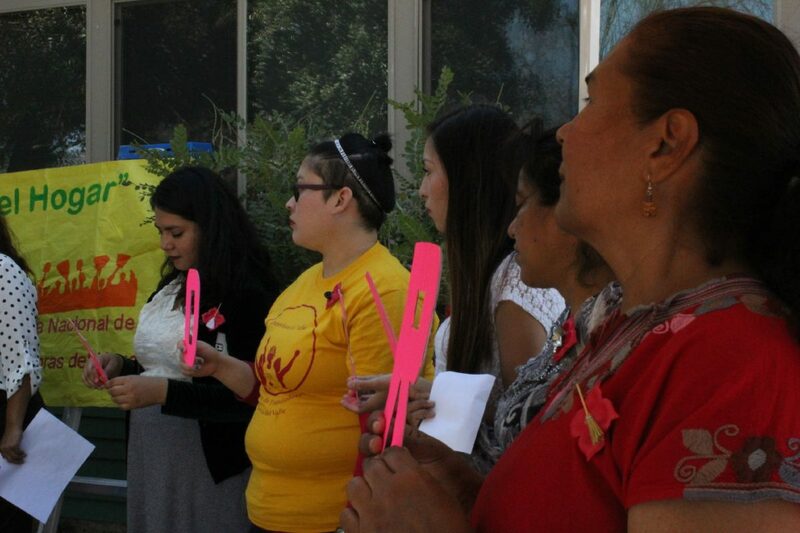 Irregular pay and wage theft are extremely common for the border region’s domestic workers. Nearly a quarter of those surveyed reported they were paid less than agreed or not paid at all. One-third of the house cleaners interviewed reported this was the case. Abuse on the job is also common. According to “Living in the Shadows,” 28 percent of house cleaners reported their employers threatened to call immigration authorities on them, and 19 percent reported being pushed or physically hurt by an employer or someone in the employer’s home. Nearly one-third of house cleaners and workers who care for people with disabilities reported being injured at work. Care workers are most likely to suffer serious injuries, according to the report. Live-in workers are much more likely to experience exploitive working conditions than non-live-in workers, with 45 percent reporting being paid less than agreed or not at all, and 60 percent reporting being paid late. Of the workers surveyed, only 43 percent had U.S. citizenship or permanent residency. The study found that 80 percent of house cleaners were not legally authorized to work in the United States. Elder care workers were more likely to have legal status, with 67 percent reporting U.S. citizenship or permanent residency status. Undocumented workers are subjected to much higher rates of abuse than U.S. citizens or permanent residents, twice as likely to be threatened by an employer and three times as likely to be pushed or physically hurt, the report found. Thirty-three percent of undocumented workers reported on-the-job injuries compared to 22 percent of workers with U.S. citizenship or permanent residence. While domestic workers across the country suffer from poor working conditions and struggle to cover basic expenses, those in the Texas-Mexico border region are “substantially less secure economically and at higher risk of encountering substandard conditions on the job,” according to the report’s executive summary. Rosa San Luis, a Harlingen resident and former domestic worker who helped coordinate the study, said through a translator that “Living in the Shadows” should be disseminated far and wide and the report’s recommendations implemented to improve the plight of border-region domestic workers. At the core of those recommendations is changing public policy on the federal, state and municipal level to extend basic workplace protections to domestic and immigrant workers, transforming attitudes and behaviors on the part of employers, and raising wages and standards across the low-wage labor market. The report notes that Texas has the highest number of below-minimum-wage workers in the United States. 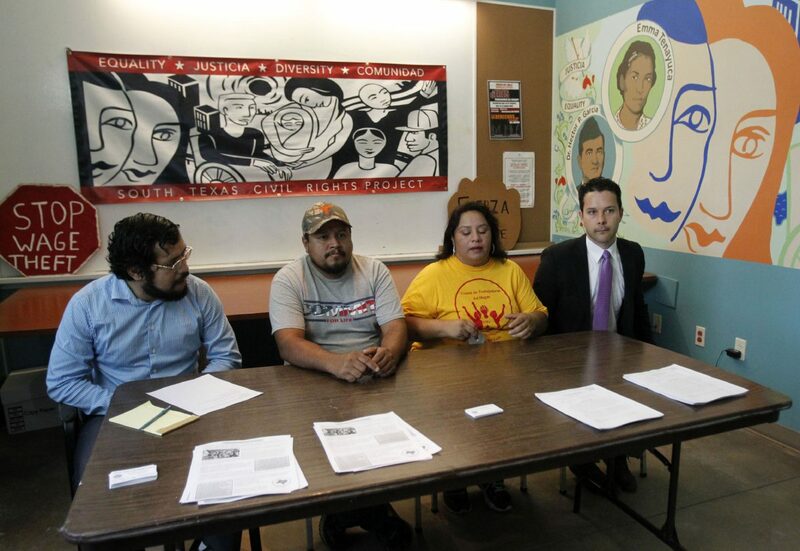 Hector Guzman Lopez, coordinator with Fuerza del Valle Workers Center and the Labor Justice Committee, said the problems identified in the report stem from a pervasive culture of impunity for those who treat domestic workers badly. The report will help to prioritize issues in the fight to achieve justice for domestic workers, he said. Lisa Moore, field director for the National Domestic Workers Alliance and one of the study’s authors, said Texas’ status as a low-wage leader with harsh anti-immigration policies means domestic workers in the Texas-Mexico border region are essentially “canaries in the coal mine” for the nation at large. “It’s a trend of where workers’ rights are going around the country,” she said. Read the full report at: https://tinyurl.com/yclcodlc.